How do you use social media to reach your audience, inspire passion in your supporters, and ultimately, turn that passion into giving? Chief Strategist Jennifer Abohosh explains the ins and outs of connecting on social media and building online relationships that result in giving. In this 6-session course, you’ll examine several case studies that reveal how Dunham+Company clients use their social media campaigns integrated with television, radio, direct mail, and other mediums to grow their ministries. Use an integrated approach to social marketing that will add personality and “life” to your social media presence. Use like and lead ads to increase reach and engagement on Facebook. Strategically boost your YouTube videos to increase views and channel subscriptions. Turn social media engagement into donor support. Get ahead of social media trends and reach the next generation of donors. Social media is a powerful tool for improving donor relationships and increasing your fundraising capacity. In this introductory session, Chief Digital Strategist Jennifer Abohosh introduces case studies that reveal how a few Dunham+Company ministry partners are integrating social media with other marketing channels to boost growth, engagement, and support. You’ll see how your own strategies compare! Your supporters want to develop a relationship with you – not a faceless organization. So your social media presence needs to feel “alive.” In this first session, Jennifer discusses how a California pastor integrates his social media with other forms of communication to add personality to his online presence and give social media followers a behind-the-scenes look at his ministry. You’ll also learn about the benefits of closed-caption video, like ads, and lead ads. Take a look at a public policy nonprofit's highly integrated approach to communications and see how social media can work with direct mail, email, and blog posts to highlight current events. Also, discover how like ads and videos can boost followers and engagement, and see out how lead ads can attract future donors. In this session, Jennifer shows you how one organization uses social media to gather information, create a community, and cultivate donor relationships. Take a look at how different kinds of posts and media engage audiences, and examine how Facebook ads enhance the effectiveness of that content. Discover how one nonprofit uses emails, blog posts, Facebook, and Whatsapp messages to gain support from a global audience. Jennifer explains that posting consistent and engaging Facebook content can greatly increase likes and reach, and that broadening target areas can decrease the cost-per-like for like ads. In this session, Jennifer shows you how a couple different ministry partners use YouTube to grow their audiences and gain donor support. You’ll also learn to strategically boost your most creative and captivating videos to increase views and subscriptions and to grow your YouTube channel. And you’ll discover how Google ads can catch the eyes of potential donors. Where is social media headed? How can your organization get ahead of the trends and best use social media outlets to reach future generations? In this last session, you’ll learn how Dunham+Company is investing in social media and messaging platforms to reach Generation Z. As Jennifer concludes this course, she encourages you to keep learning about social media and how you can use it to grow your ministry. Get the course and start converting followers into donors today! 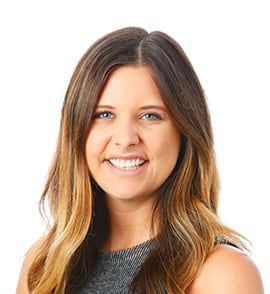 Jennifer joined Dunham+Company in 2014 as a Digital Account Coordinator. She now leads our digital teams to ensure our clients get leading innovative and effective strategies for their fundraising and marketing goals. 2019 Dunham+Company. All rights reserved.